So I’m always a gracious host and do my best to feed the little visitors. But when the visitor is used to bacon, cinnamon rolls, and Fruit Loops with whole milk–and my usual breakfast options are oatmeal, smoothies, and whole-grain cereal with soy milk–then we have a problem. Even my special occasion, tofu-based breakfasts of omelets or quiches or frittatas are out of the question when the guest thinks that tofu is “pukey” and wants nothing to do with it, even the deep fried kind in the Chinese take-out she refused to eat the night before. So, to my way of thinking, it comes down to two options: pancakes or muffins. D is more of the pancake maker of the household, so if he happens to be awake (ha!) I’ll usually pass the spatula to him. I personally prefer making muffins because, frankly, they’re easier. Mix ’em up, pour ’em in, and let ’em bake–no standing over a hot skillet waiting for bubbles to appear. I can be checking my email or reading the Sunday paper while the house fills with the heavenly aroma of muffins baking. They also keep well, so if the rest of the house sleeps for another hour or two, no harm done; I’ll usually save them a couple. So it was with some trepidation that I tried another cinnamon-heavy recipe, especially since the guest last Sunday morning was the same girl I’d tried to poison with Cinnamon Splats. I managed to be out of the room taking photos of the muffins (just in case) when the rest of the family sat down to eat, so it was only after the fact that I heard that they were, indeed, delicious. Actually, I didn’t hear that from our guest, but D and E insist that she did, in fact, give them the Omnivore Seal of Approval. I ate mine a little later, after it had been photographed half to death, and I found it tasty but a little on the bland side. D and E apparently ate theirs with margarine–so much for fat-free–and E liked them so much that she asked for them again the next morning. (Sorry, they’re all gone, but have you tried my licorice version?) So consider these kid-tested, mother…yeah, whatever. *The only “Satan” I ever talk about is seitan. But yep, that’s how I pronounce it. All the flavor of a cinnamon roll without the fat! Mix together dry ingredients (flour through flax seeds) in a large bowl. In a smaller bowl, mix wet ingredients (yogurt through agave). In an even smaller bowl, mix the sugar and cinnamon. Pour the wet mixture into the flour mixture and stir just until thoroughly moistened. Do not beat or overmix. Spoon about 1 heaping tablespoon of batter into each muffin cup. 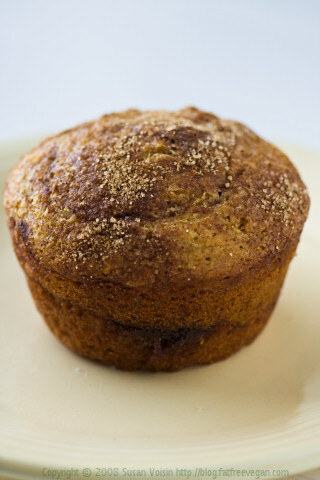 Sprinkle each half-full muffin with 1/2 teaspoon of cinnamon sugar and fill with remaining batter. 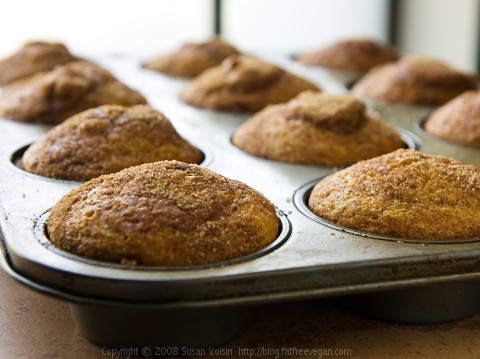 Sprinkle remaining cinnamon sugar over each muffin. Take a toothpick or thin knife, insert it into the batter and swirl gently. Bake for 17-22 minutes, until a toothpick inserted into the center of a muffin comes out clean. Cool for a few minutes before serving. 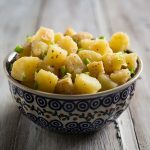 A reader suggested adding chopped up apple to these, which sounds great to me! Fourth post this week! Yay. I love reading your posts. These look great. I hope to be making them soon. Will delurk just to say how much I enjoyed this post!! Pure vicarious domestic bliss 😀 Nicely done! Your comment about sending the kid home hungry had me in stitches. The recipe looks good too. Those cinnamon swirl muffins look really good. I bet they smelled amazing while baking! Oh boy — this recipe is going on the bulletin board for the next eight days…. and after that, when there’s bread in the house again, these muffins will be there, too! Ooo yum. I’m a bit of a muffin-aholic. Might have to make these soon 🙂 Actually not might… they’ll be breakfast tomorrow. 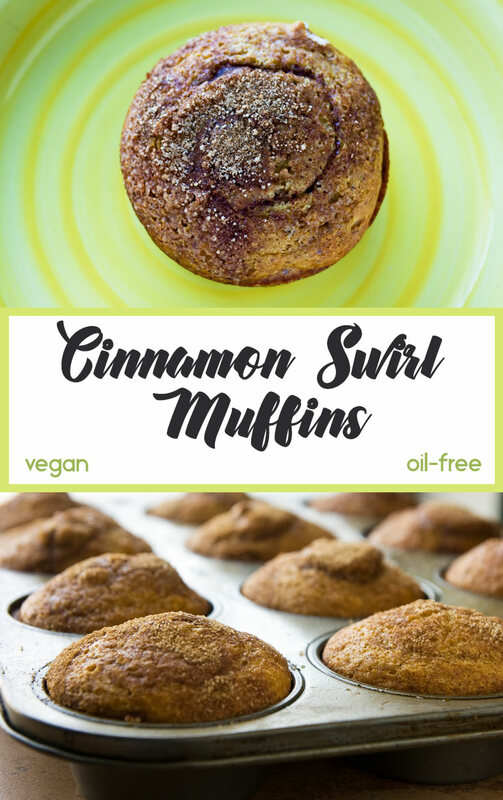 Okay, now I DEFINITELY have to make those Cinnamon Swirl Muffins (especially since I’m too intimidated to make cinnamon rolls, haha) – yum!! Once again, you’re a brilliant baker! What great idea to win over them omni kids! 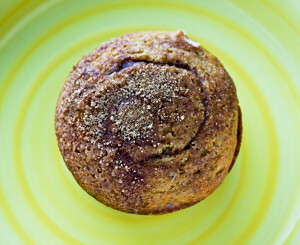 No one can ever resist a cinnamon roll in a muffin! Hahaha- I’m sure most kids do find tofu “pukey.” Guess they just don’t know what they’re missing…. What a great idea….cinnamon bun flavor but without all the goo [read: fat!]. wow. i really adore your blog! what a great post! I would skip every five course dinner for these muffins! Mmm, cinnamon swirl ANYTHING sounds great to me! Yum! I just made cinnamon swirl cupcakes last week. Mine were much more decadent and not fat-free but they are vegan. I can’t wait to try this recipe for a healthier approach to breakfast. Mmm! I made these, and replaced the soy yogurt with mashed bananas and they turned out great! Gleek, Laura used mashed bananas instead of the yogurt; apple sauce would also work. Good luck! Love the swirl! I’m a big fan of cinnamon, so must try these out. Thanks! I made these this morning for a special Sunday snack for my wife and me. I had to make a last minute substitution of sour cream for the yogurt and I need to learn to read a recipe before I actually make it but they turned out well. I think your description of the taste was spot on: they were good but a bit on the bland side. We tried them with various combinations of butter, Toffuti cream cheese, and whipped topping but I think the buttered ones were the best. Thanks for the recipe! These were good even if a little bland. Omni-boyfriend and I appreciated that they weren’t too sweet. I also ate mine with Earth Balance (sorry to my fat free intentions.) Their flavor isn’t muffiny. They’re crumpety, but with a muffin texture. It’s weird, but good. I’ll definitely make them again. I just wanted to report back that I made these and think that they are fantastic! They are the best fat free muffins I’ve ever eaten. Which doesn’t mean that they can’t compete with regular ones. They definitely can! I only made two alterations: I didn’t have soy yoghurt so I used silken tofu instead and I cut out some nutmeg and added more vanilla, because I don’t like nutmeg in baked goods that much. Anyway, I am glad you posted the recipe, these are awesome! I will have to try these muffins. I love anything with spices (i.e. cinnamon and nutmeg) in them! what do you think i could use instead of flaxseeds— i think i have some sort of strange intolerance to flax. Last week I received the Vegan Express book. Congrats for the photos ! Anonymous–You might just leave the flaxseeds out. I like to include them, but I’m not sure they contribute anything essential to the recipe. I love this post. Satan. Hehe. These look amazing! I <3 cinnamon. Hehe, satan hu? Funny, I could definitely see a kiddo getting that confused with seitan :D. I like this recipe! Two desserts in one. Being that I'm a muffin and cinnamon roll fan, these will get baked in my oven very soon :). Thanks for sharing! Just made these... oh my, I hope some last until tomorrow. I can't stop eating them. I made these today and they were absolutely amazing!!! Not to mention that they made the whole kitchen smell delicious!! SOOOOOOOOOO yummy!! We made these for breakfast this morning and tehy were so good! Having the last 2 for dessert tonight! I feel like these could have some more oomph by putting some fruit in them Im going to try the recipe and put some diced fresh apples into them I think it might be perfect with the cinnamon and nutmeg! Thanks for this recipe ill keep u posted! do you have to put the flax seeds in? Flax seeds act as an egg replacer, so if you want to leave them out, you could use a tablespoon of powdered Ener-G egg replacer. Just leaving it out may cause the muffins to fail to rise. LOL Cinnamon Splats. Ya kill me. As for “Satan,” you could try “SAY-tan” instead of “SAY-tən\” and you can even hear it here http://www.merriam-webster.com/dictionary/seitan…just click on the speaker. Due to my pantry’s shortcomings, I made this with all whole wheat white flour, subbed mashed banana for the yogurt, used unsweetened almond milk, replaced about half the agave with brown rice syrup, and used brown sugar instead of regular. I can hear you groaning already, but they turned out awesome. All three of my non-vegan, junk food/dessert-loving roommates thought they were delicious, too. No groans here! I’m just happy they turned out great! Ah, yes, I suppose that’s only if I’d concluded with, “Why didn’t your recipe turn out? !” 🙂 Thanks again for another fool-proof recipe! My very un-vegan husband wants to eat only toaster strudels and special K protein bars for breakfast 365 days per, unless that is, if he goes to McDonalds for a greasy steak bagel. I have tried to bake him many vegan breads and muffins only to end up eating them myself (he once actually took a bite, then spit it out and said “I can’t eat this.”) Well, this morning he ate two of your cinammon swirl muffins. While I was afraid to ask if he liked them, he did eat two entire muffins without comment. This may be the strangest compliment you have ever gotten, but let me assure you it is a compliment! 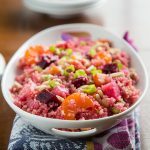 Thank you for helping make my husband a healthier eater! I made these this morning for breakfast. I didn’t have every ingredient and we have wheat allergies in the family. I ended up substituting tofu for the yogurt and pineapple juice for the orange juice. I blended the wet ingredients together in the blender since I only had regular firm tofu. I used Tom’s Red Mill all-purpose gluten-free flour. And they turned out perfect! Yum! Omg, ha ha, this is hilarious!! I think you will have better luck with an all-purpose gluten free flour blend. Mrs. V kept talking about Satan! LOL. You rule, Mrs. V.
I just made these and they came out absolutely fabulous. I love baking, but since I recently decided to go Vegan I felt kind of restricted in my baking-related dreams. 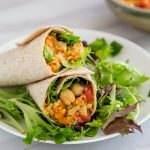 So I’m really, really glad that I found this blog and the fat-freeness makes it even more awesome (I’ve been struggling with my weight and fat-free goodies make things so much easier). Anyway, I used 2 cups of spelt-flour, substituted half the yoghurt for a banana and to half the batter I added a grated apple. They came out wonderfully moist, a little sticky on top from the sugar and just overall super delicious. Thanks you so much, now I can finally do what I love again, only fatfree and vegan! I made these two days and they are almost gone! They are so delicious! I made mine using powdered stevia that measures cup for cup like sugar. I really like that they are not too sweet, but mine were a little dry… I live in AZ, perhaps my flour is dry. If I add more applesauce will they still raise? this recipe is grrrrrEAT!!! i switched the flowers with Bob’s Red Mill all purpose gluten free mix and they still came out f-ing fantastic ! Thank you for the recipe! My mother and I made them for a Sunday afternoon pick-me-up and they were fantastic. We added a little crumb topping as well, made of chopped pecans, brown sugar, melted earth balance, flour and cinnamon. Hope your kids’ friends appreciate these muffins as much as we did! Keep up the fabulous work. This post was so humorous! I found these muffins about 2 weeks ago looking for bran muffins and … um I haven’t made any bran muffins yet (I have some bran sitting here wanting to be used) … and I laughed several times about the Mom who talks about “Satan” … and I woke up this morning having had a whole week of full moon something – was it in the water this week or what? Any way, after a week of living through full moon whatever, all I could think about was Susan’s cinnamon muffins that looked so good, and now they are in the oven and they smell so good … Thanks for the smiles this week through the full moon-itis and the muffins. 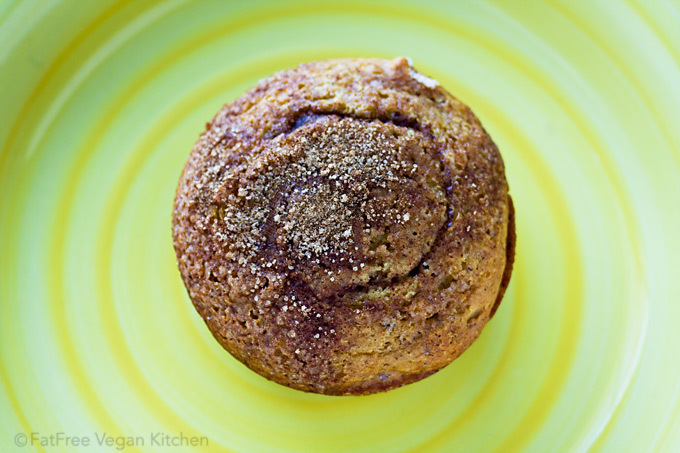 Is it alright to substitute regular flour for the whole wheat flour in the cinnamon swirl muffins? Thanks! Yes, they should come out okay with all regular flour. Why the two different flours? Is the orange juice a must for this recipe? I made these a couple of weeks ago and I have to say, they were fantastic! These came out moist, sweet, cinnamon-y and slightly orange-y. My not at all vegan roommate said, ” These are the best baked thing you’ve ever made.” I didn’t bother mentioning they are fat free. Absolutely delicious! My husband said he could eat them all day! 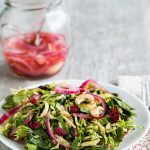 What can I substitute for the ground flaxseed? One tablespoon of corn starch (or other starch) might work but I haven’t tried it.